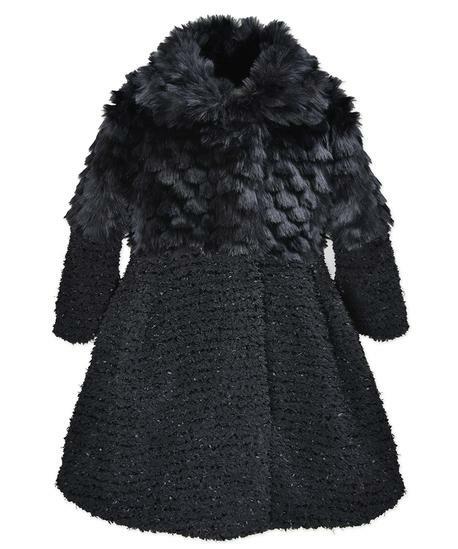 Eyelash Faux Wool Coat with Collar. Hidden Snap Closure. Faux Fur Lining. Acrylic/Polyester. Machine Wash. Imported.